FRANK ROBINSON was born in Carbonado, Washington in 1930. The youngest of four children, he grew up during the Depression. At the age of nine, Frank saw a picture in the Seattle Post Intelligencer of Igor Sikorsky hovering his VS300 Prototype helicopter. The idea that a machine could remain stationary in the air fascinated Frank, and set the course for his life’s work. As a young man, he worked his way through college focusing his education on helicopter design. In 1957, he earned a BSME degree from the University of Washington and later attended graduate school at the University of Wichita. Robinson began his career in 1957 at the Cessna Aircraft Company working on the CH-1 Skyhook helicopter. 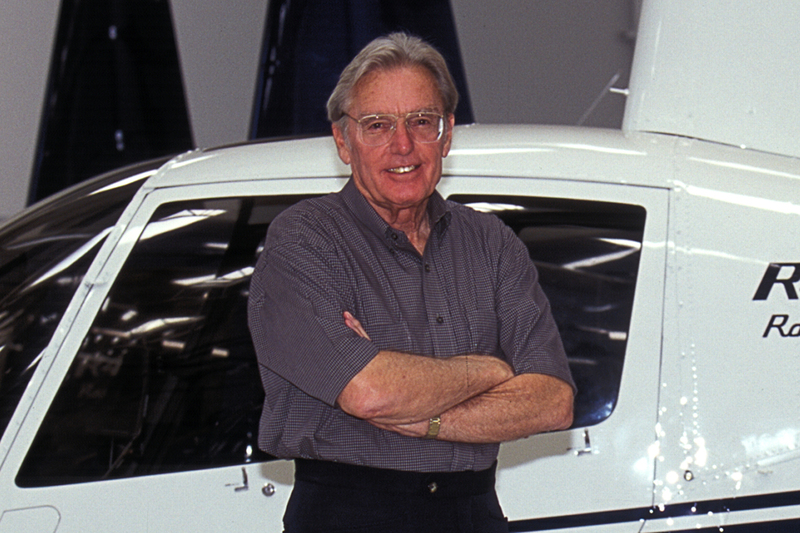 After 3 1/2 years at Cessna, he spent one year at Umbaugh working on the certification of its gyroplane and then 4 1/2 years at McCulloch Motor Company doing design studies on inexpensive rotorcraft. 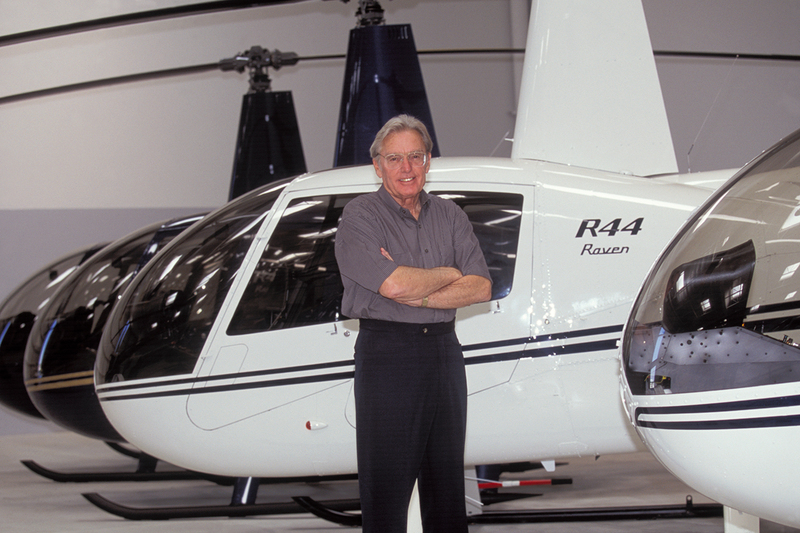 Robinson went on to spend a year at Kaman Aircraft working on gyrodyne-type rotorcraft, followed by two years at Bell Helicopter where he earned a reputation as a tail rotor expert. 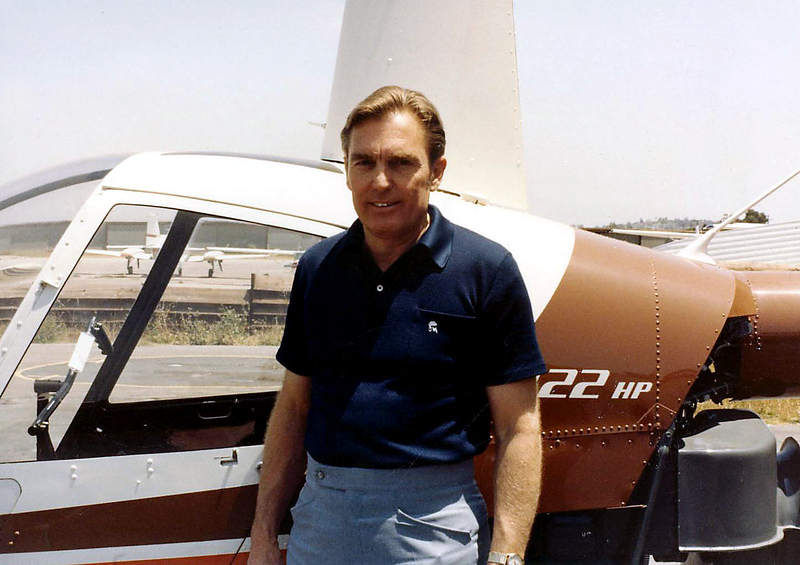 In 1969, he moved to Hughes Helicopter Company to work on a variety of R&D projects, including a new tail rotor for the Hughes 500 helicopter and the quiet helicopter program. 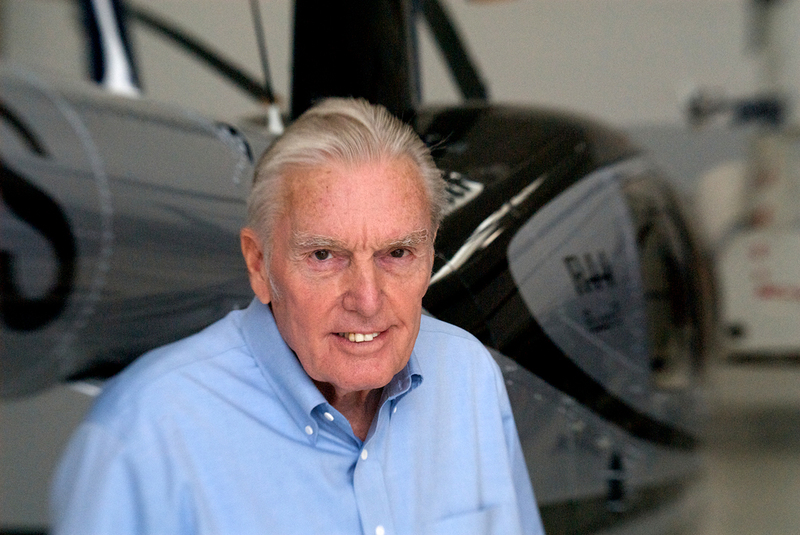 Unable to interest any of his employers in his concept for a small, low-cost helicopter, Robinson resigned from Hughes and in June of 1973 founded Robinson Helicopter Company (RHC) in his Palos Verdes home. 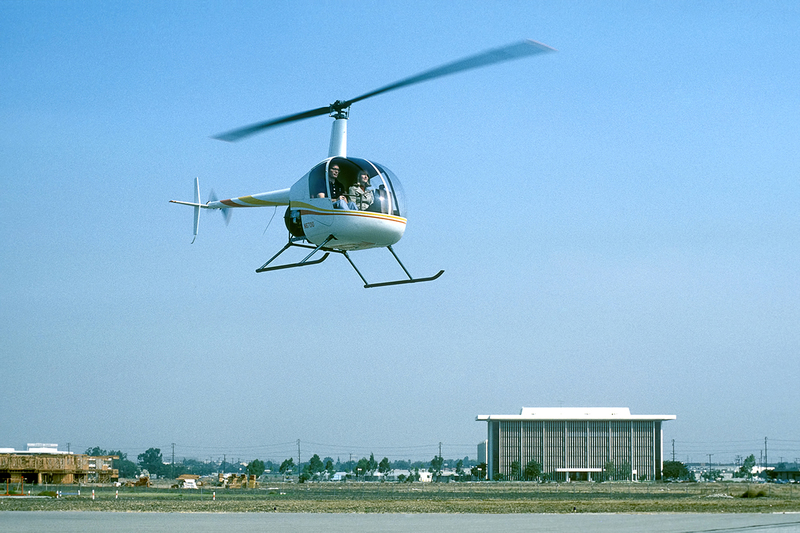 The first R22 prototype was built in a tin hangar at the nearby Torrance Airport, and in August of 1975, Robinson flew the R22 on its first flight. 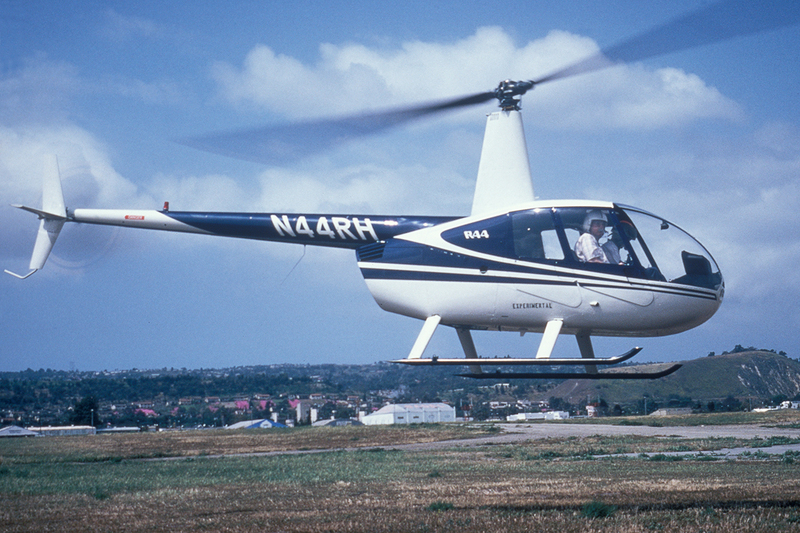 In 1979, after 3 1/2 years of testing and technical analysis, the R22 received its FAA Type Certificate. 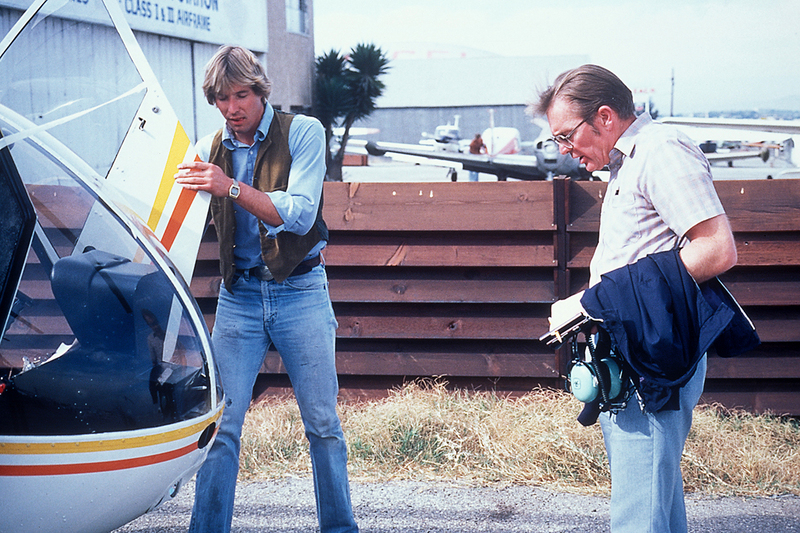 The first R22 was delivered in late 1979 and soon became the world’s top selling civil helicopter. The R22 holds the most world records in its weight class including speed and altitude. In the mid-1980s, Robinson began to develop the four-seat R44 helicopter, which took its first flight in March of 1990. 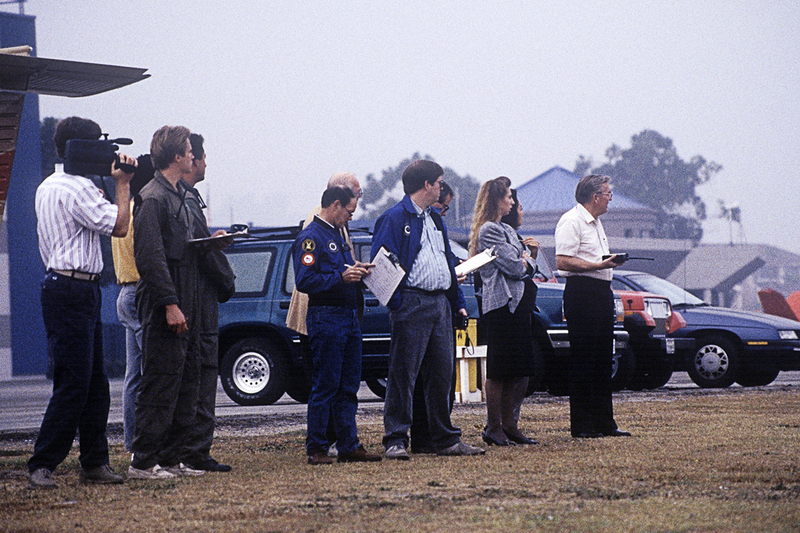 FAA certification was received in late 1992, and deliveries began in 1993. As popularity of the R44 grew, Robinson expanded the R44 product line to include the Newscopter, and the specially equipped Police helicopter. In 2002, the Raven II, an R44 with a fuel-injected engine was introduced and the R44 quickly became the company’s best-selling helicopter. By the end of 2010, more than 5000 R44 helicopters had been delivered worldwide. Preliminary designs for a five-place turbine helicopter began in 2001, but it was in 2005 that engineering began in earnest after Robinson reached an agreement with Rolls Royce to develop the RR300 turbine engine. 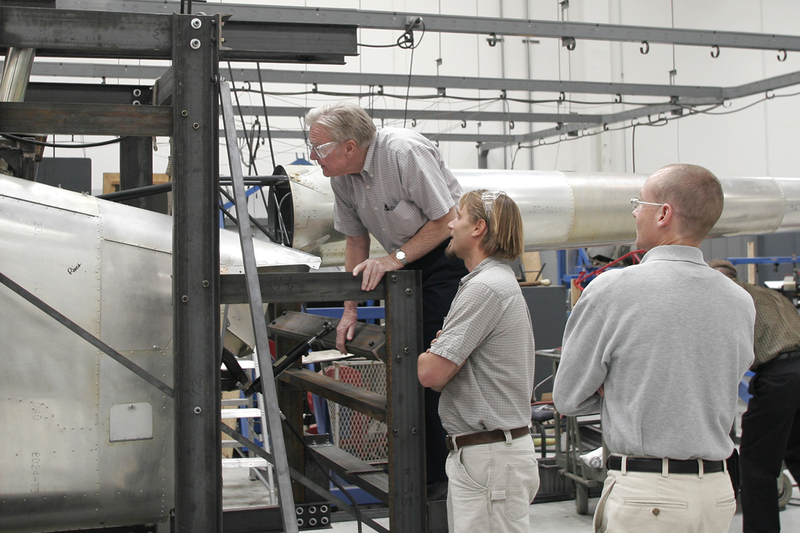 Five years later, on October 25, 2010, Robinson’s R66 Turbine received FAA certification. The first R66 was delivered in November 2010 and by December 31, 2010 the company had accumulated a backlog of more than 100 orders. Frank Robinson’s story and accomplishments have been recognized with numerous prestigious awards and honors as well as countless magazine covers. 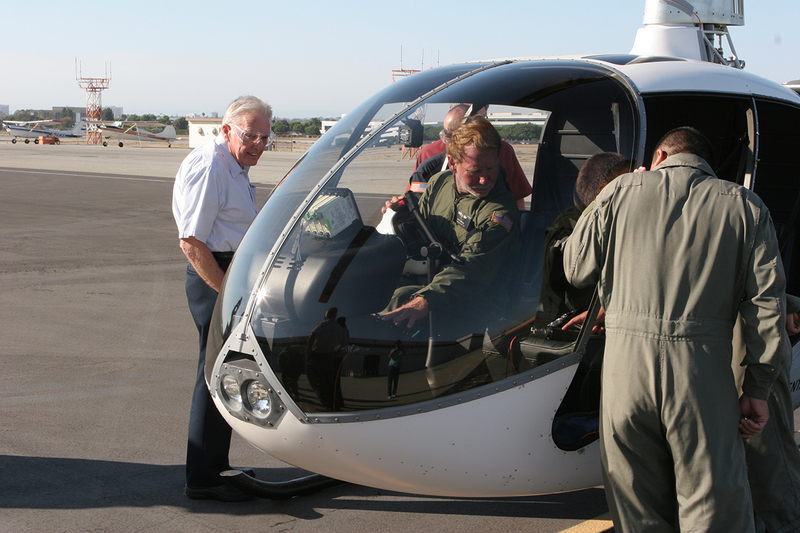 In 2013, Robinson received the prestigious Daniel Guggenheim Medal “for his conception, design, and manufacture of quiet, affordable, reliable, and versatile helicopters.” Among his many honors, Frank is also a member of the U.S. National Academy of Engineering, a Cierva Lecturer, a full member of the Society of Experimental Test Pilots, and a Fellow of the American Helicopter Society. Robinson donated $1 million to the University of Washington for an endowed tuition scholarship fund based on financial need for students graduating from South Whidbey High School, where he grew up, and another $1 million for students majoring in engineering. He also donated $1 million to the Smithsonian Air & Space Museum and $1 million to the American Helicopter Museum in Westchester, Pennsylvania. 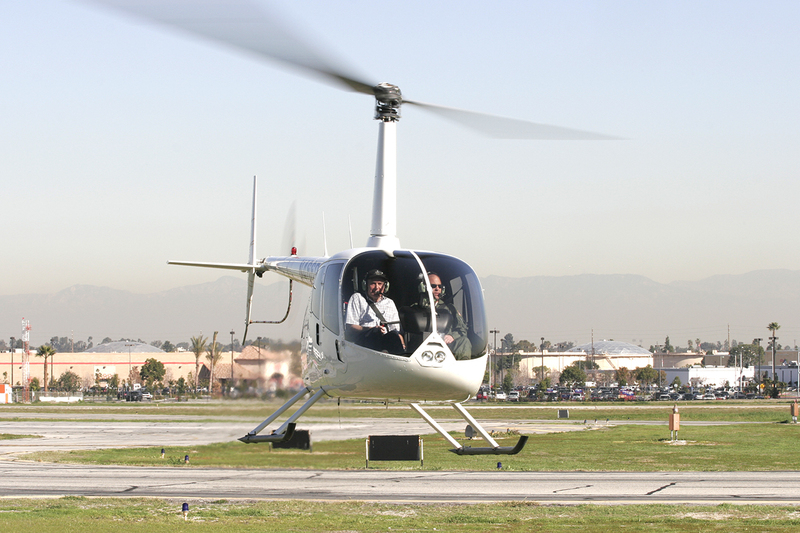 In June 2010, with FAA certification of the R66 imminent, Robinson, at the age of 80, retired. The Company publicly announced his resignation as President and Chairman in August 2010. Without question, Frank Robinson was the driving force behind the company’s success. Since 1988, Robinson Helicopter Company has been the world’s leading manufacturer of civilian helicopters. to recognize excellence and entrepreneurial accomplishment Ernst & Young, et. al.